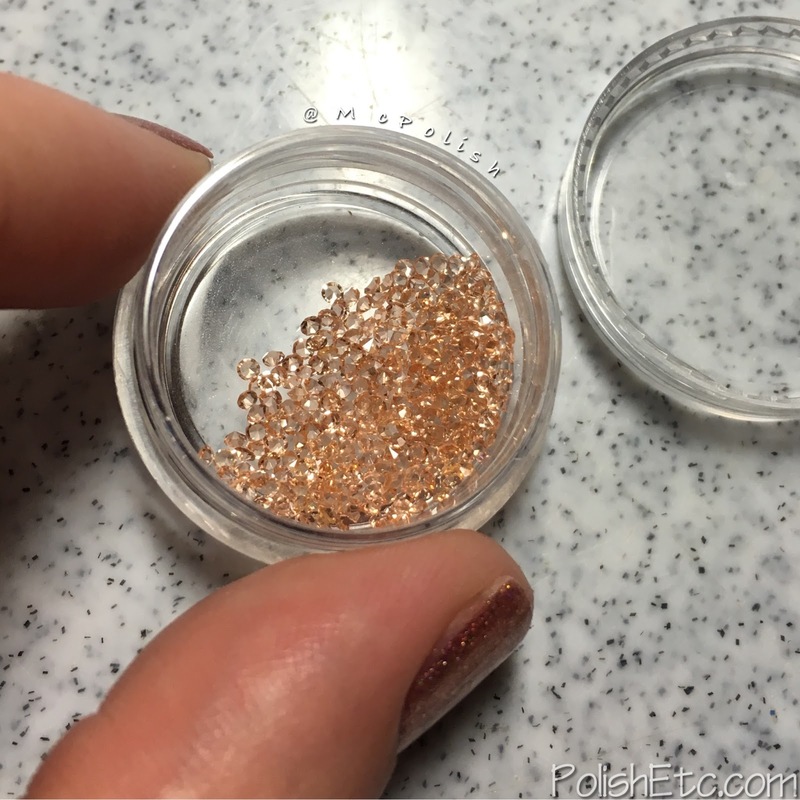 Rose Gold Bling - Polish Etc. I have a easy but beautiful manicure to share with you all today! I have been super into rose gold nails and jewelry over the past few years. It's girly but still sophisticated. 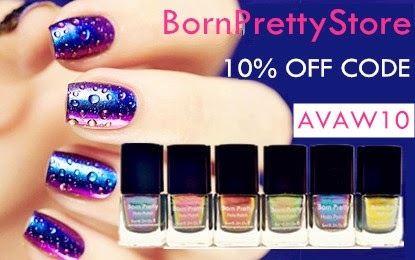 When I received some dainty rose gold jewels from Born Pretty Store, I knew I wanted to do a super blingy manicure. 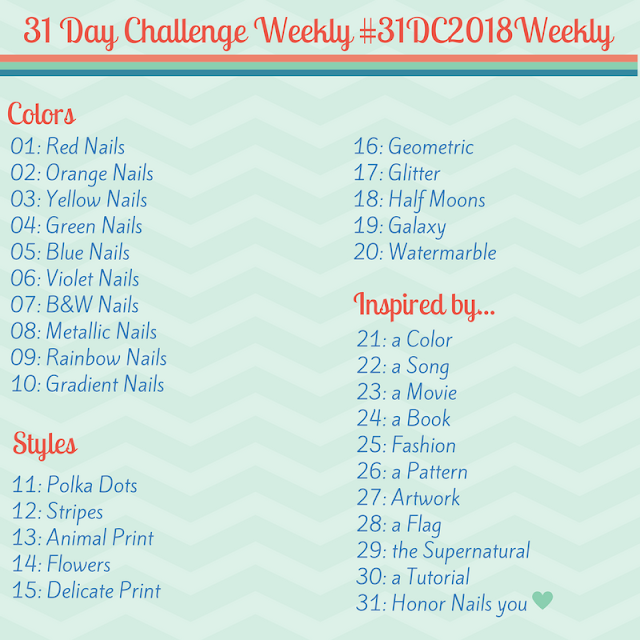 I have always liked seeing nail artists to those jewel encrusted accent nails with acrylics or gels. It looks like jewelry on the nail! So, I wanted to give it a try. 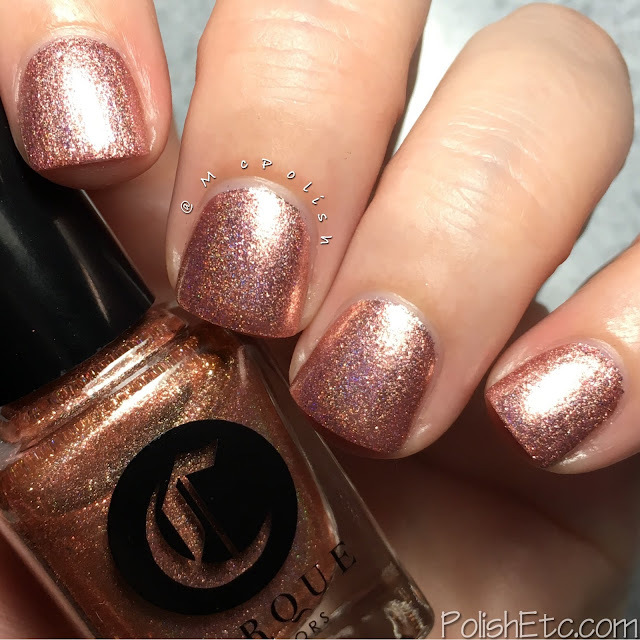 I chose a metallic rose gold base that has a linear holographic shimmer, Himalayan Pink by Cirque Colors. Once that was dry, I applied a thick layer of glossy top coat and pressed in the tiny rose gold jewels. I chose a non-quick dry top coat for this because I wanted it to stay a little wet so I could move around the jewels if needed. If filled in some sparse spaces on the nail to make sure it was nice and uniform. If you want a more long lasting jewel encrusted nail, use a gel coat to hold the gems on. I really liked how this turned out! Here are how the gems come to you from Born Pretty Store. They are shaped like traditional solitaire gems with a pointed base. They appear to be acetone resistant because I was able to clean all of the polish off of them without dulling the finish. The amount in this container is what was left over after doing my accent nail. So you get a pretty good amount! And how about a look at Himalayan Pink on it's own! This is two coats of this rose gold shade with a glossy top coat. This was from the Cirque Colors Speckled and Sparkle Collection.